While a large majority of people are disappointed with the governance of the ruling People’s National Movement (PNM), they have embraced new President Paula-Mae Weekes’ inaugural address, last Monday, which carried a message of hope. But this still has not placed the United National Congress (UNC)-led People’s Partnership in an advantageous position as seeks to return to power. In fact, the poll found that an increasing number of voters are expressing a preference for a third force as their choice for the next government. “But with no third party alternative in the offing, the PNM is preferred over the UNC and likely to retain office in elections due by the end of 2020,” the poll found. It added: “The incumbent PNM retains office as the basic political arithmetic does not favour the UNC to win these critical seats necessary for government formation. “The UNC has not been able to attract sufficient crossover ethnic support to win key battleground seats to obtain a bare majority of a minimum 21 seats of the 41 seats that make up the parliament.” The poll also revealed growing disenchantment with the Government’s handling of crime and the economy. Both issues have been taking a heavy toll on the Government’s approval rating and its re-election. Voters, the poll found, also expressed disappointment with governance issues – the PNM’s failure to grant autonomy to local governments along the “Tobago model” and other unfulfilled promises laid out in the 2015 manifesto. Members of Parliament also came in for strong criticism. 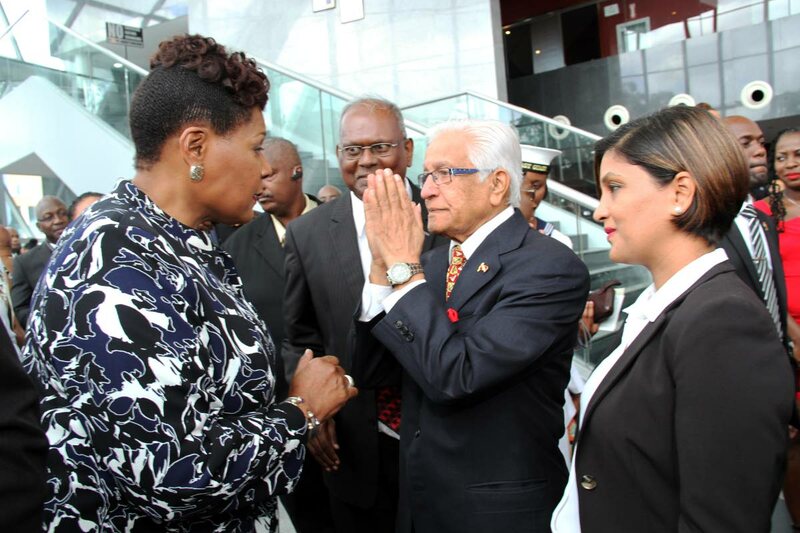 The survey also revealed that every supporter of the UNC has endorsed the call by San Juan/Barataria MP Dr Fuad Khan for the reconciliation with former party leader Basdeo Panday and other stalwarts and grass roots activists who feel alienated or were excommunicated from the party. Reply to "NACTA poll: TT hopeful with Paula-Mae"